Kristen Lazarian is an award-winning playwright who has had her full-length and short plays produced, work-shopped and stage-read at many venues in L.A. including the Geffen Playhouse, Theatre 40, East-West Players, Theatre Geo, the Road Theatre, Pacific Resident Theatre, 68 Cent Crew, and the Blank Theatre. Her plays have also been staged across the United States, including New York City. She has had productions internationally in Holland, England, Australia, and Canada. Kristen's plays include Push, Love Like Blue, Flesh & Tenderness, Inviting Karma, Sophisticated Barflies & Other Short Plays, and more. In addition to writing plays, Kristen is a screenwriter. She penned the Hay House film, The Shift, based on the spiritual teachings of self-improvement pioneer Wayne Dyer. She currently works as a writer and script consultant on various projects and has works in development. 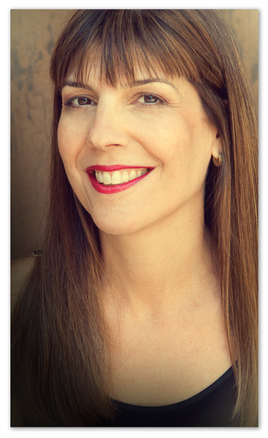 Kristen is a member of the Dramatist Guild and the Alliance of Los Angeles Playwrights. She lives in Los Angeles with her husband and their three sons.